Learn about the practical differences of CNC machining and 3D Printing and how to select the right technology for manufacturing end-use parts and functional prototypes for metal or plastic. CNC machining is a common subtractive manufacturing technology. Unlike 3D printing, the process typically begins with a solid block of material (blank) and removes material to achieve the required final shape, using a variety of sharp rotating tools or cutters. CNC is one of the most popular methods of manufacturing for both small one-off jobs and medium to high volume production. It offers excellent repeatability, high accuracy and a wide range of materials and surface finishes. Additive Manufacturing (AM) or 3D Printing processes build parts by adding material one layer at a time. AM processes require no special tooling or fixtures, so initial setup costs are kept to a minimum. In this article, we present the key technology considerations to help you choose the right technology for your application. We focus on functional parts and prototypes made from metals or plastics. The 3D printing processes that are most suitable for this purpose are SLS or FDM for plastics and SLM/DMLS or Binder Jetting for metals. When choosing between CNC and Additive Manufacturing (AM), there are a few simple guidelines that can be applied to the decision making process. When traditional methods are not able to produce the part, for example for highly complex, topology-optimized geometries. 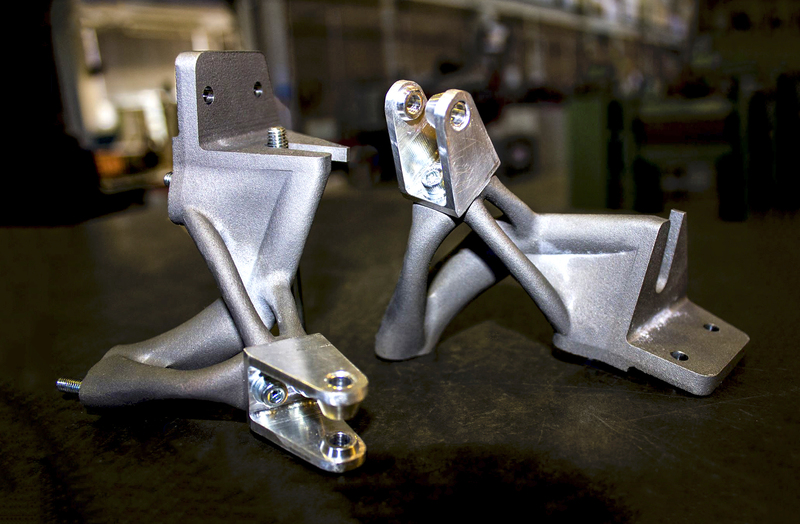 When a fast turn-around time is critical; 3D printed parts can be delivered within 24h. When low-cost is essential; for small volumes, 3D printing is generally cheaper than CNC. When there is a small number of identical parts required (less than 10). When materials are required that cannot be easily machined, like metal superalloys or flexible TPU. CNC offers greater dimensional accuracy and produces parts with better mechanical properties in all 3 dimensions, but this usually comes at a greater cost, especially when volumes are small. If higher part quantities are needed, (hundreds or more), then neither CNC nor AM may be cost-competitive option. Traditional forming technologies, such as investment casting or injection molding, are generally the most economic option, due to mechanisms of economies of scale (see figure). 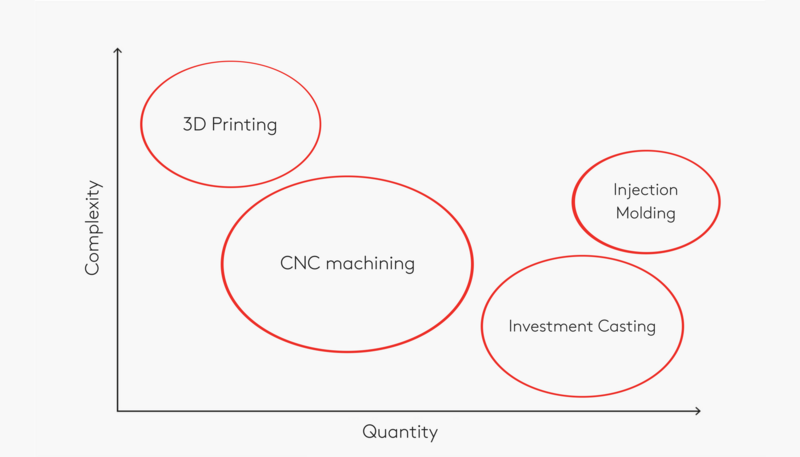 Curious about the cost for CNC maching and 3D Printing? Get an instant quote now! CNC machining offers tight tolerance and excellent repeatability. Very large to very small parts can be CNC machined accurately. Due to the shape of the cutting tool, internal corners will always have a radius, but external surfaces can have sharp edges and can be machined very thin. Different 3D printing systems offer different dimensional accuracy. Industrial machines can produce parts with very good tolerances. If tight clearances are required, the critical dimensions can be 3D printed oversized and then machined during post processing. The minimum wall thickness of 3D printed parts is restricted by the size of the end effector (for example to nozzle diameter in FDM or the laser spot size in SLS). Since parts are fabricated one layer at a time, layer lines might be visible, especially at curved surfaces. The maximum part size is relatively small, as 3D printing processing often require close environmental control. * : According to the specified level of tolerance. CNC is mainly used for machining metals. It can also be used for machining thermoplastics, acrylics, softwoods and hardwoods, modeling foams and machining wax. Great mechanical and thermal properties with fully isotropic behaviour. Dimensional restrictions due to blank size (using a non-standard blank size will increase the cost). 3D Printing is predominately used with plastics and to a lesser extent for metals. Some technologies can produce parts from ceramics, wax, sand, and composites. 3D printing materials is a complex topic that is discussed further in dedicated articles of the Knowledge Base. Wide variety of materials with a wide range of physical properties. Materials that are difficult to machine (such TPU and metal superalloys) can be 3D printed. May have lesser mechanical properties compared to CNC parts (they are typically not fully isotropic). 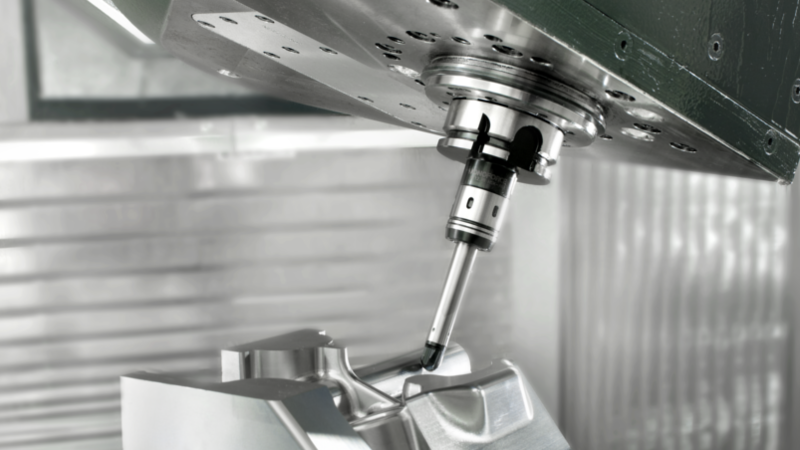 There are a number of limitations that must be considered when designing parts for CNC machining, including tool access and clearances, hold or mount points, as well as the inability to machine square corners due to tool geometry. Some geometries are impossible to CNC machine (even with 5-axis CNC systems) as the tool cannot access all the surfaces of a component. Most geometries require the rotation of the part to access the different sides. Repositioning adds to the processing and labor time and custom jigs and fixtures may be required, affecting the final price. 3D printing has very few geometry restrictions compared to CNC. Support structures are required in most technologies, like FDM or SLM/DMLS, and are removed during post processing. Plastic freeform, organic geometries can be easily manufactured with polymer-based powder bed fusion processes, such as SLS or Multi Jet Fusion (MJF), as they require no support. The ability to produce highly complex geometries is one of the key strengths of 3D printing. In CNC, an expert operator or engineer has to first consider tool selection, spindle speed, cutting path and repositioning of the part. These factors all greatly impact the final part quality and build time. The manufacturing process is labor intensive, as the black has to be manually set up in the machine. After machining, the components are ready for use or post-processing. In 3D printing, the machine operator first prepares the digital file (chooses orientation and adds support) and then sends it to the machine, where it is printed with little human intervention. When printing is complete, the part needs to be cleaned and post-processed, which is the most labor-intensive aspect of the 3D printing manufacturing workflow. While designing a new electronic appliance, fabricating prototypes for the enclosure is key for finalizing the product before mass manufacture. To accelerate the development time, fast lead time and low cost are the main objectives. Electronic enclosures often have snap fits, living hinges or other interlocking joints and fasteners. All these features can be either CNC machined or 3D printed with FDM or SLS. CNC and SLS can be used to create prototypes of high accuracy and aesthetic appeal, but desktop FDM has much shorter lead time and lower cost. Since mechanical performance is not the main objective of this project, the benefits of CNC and SLS are usually not worth the extra cost and time. Metal brackets and other mechanical components can bear high loads and operate at elevated temperatures. In this case, dimensional accuracy and good material properties are the main objectives. If the model geometry is simple (like the components of the image above), then CNC is the best option it terms of accuracy, mechanical properties and cost. When the geometric complexity increases or when more exotic materials are required, metal 3D printing must be considered. 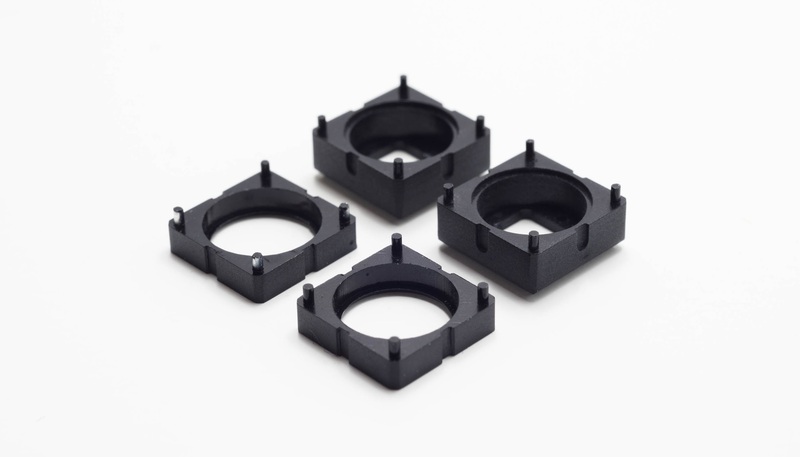 Components optimized for weight and strength (like the brackets of the image below) have organic structures that are very difficult and costly to machine. CNC and metal 3D printing can be combined to manufacture parts with both organic shape and very tight tolerances at the critical locations. CNC maching is best suited for medium to high quantities (less that 250-500 parts) and relatively simple geometries. 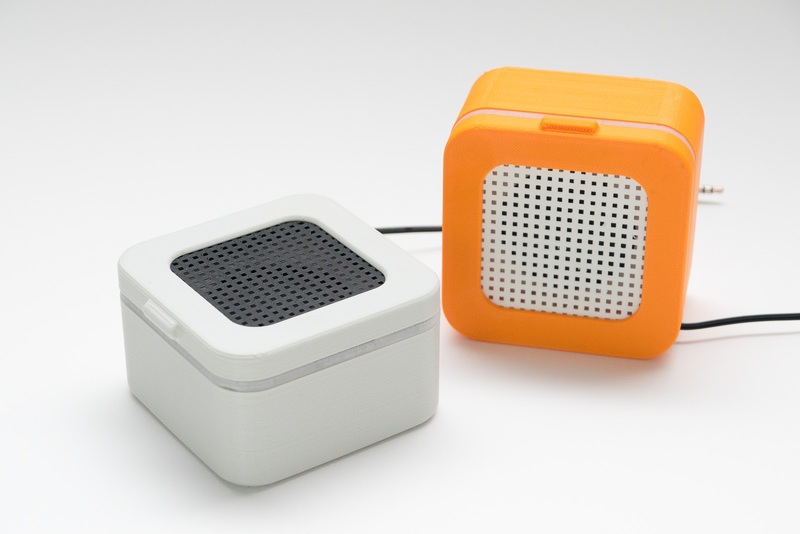 3D printing is generally best for low quantities (or one-off prototypes) and complex geometries. When considering metals, CNC can be price competitive even for low quantities, but geometry limitations still apply. When quantities are high (more than 250 - 500 parts) other forming technologies are more suitable. Decision making tools and generalized guidelines to aid you select the right 3D printing process for your application. 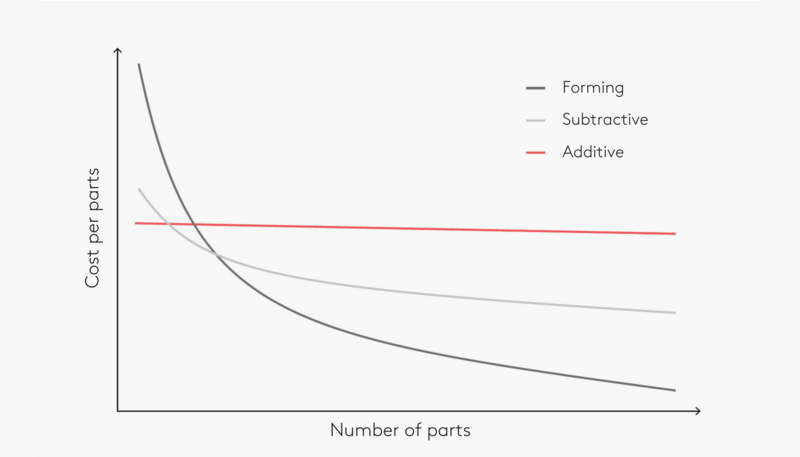 This article presents the expected dimensional accuracy of parts produced via 3D printing and discusses why part inaccuracies occur.